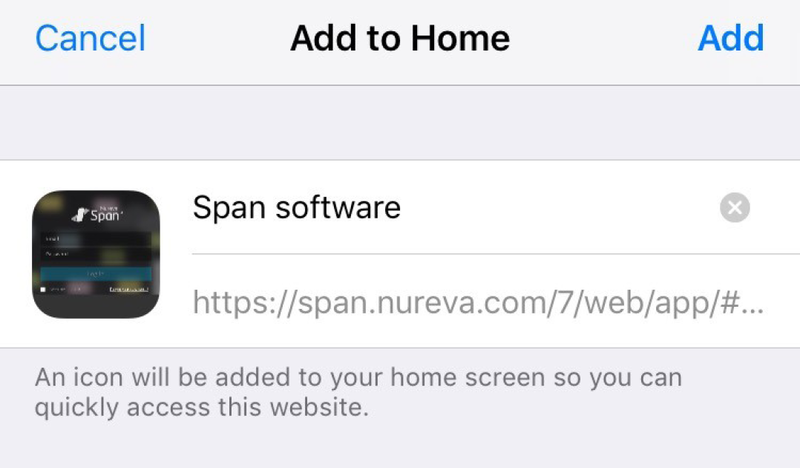 Adding a bookmark to the Span™ web client to your mobile home screen makes the website function much like an app. An icon will be created on your home screen that, once tapped, will open the Span web client in your mobile browser. 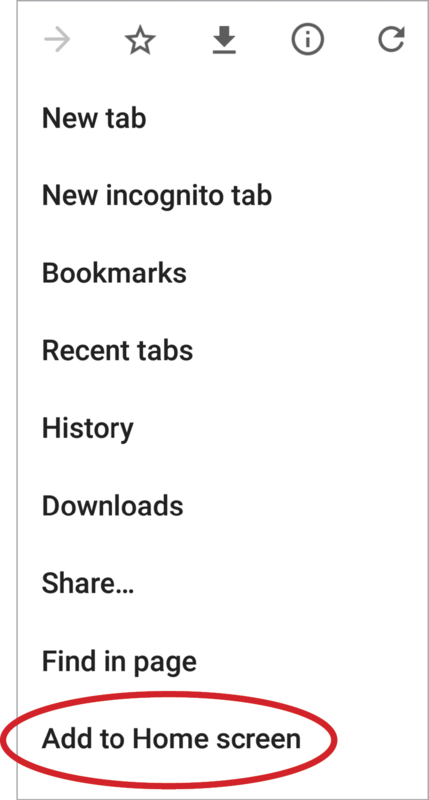 Once you've logged on once, your browser will remember your log in credentials. Therefore, tapping the home screen icon will transport you directly to a list of your canvases. Have a look at our certified browsers to make sure Span Workspace will work in your browser. An icon will appear on your device's home screen.